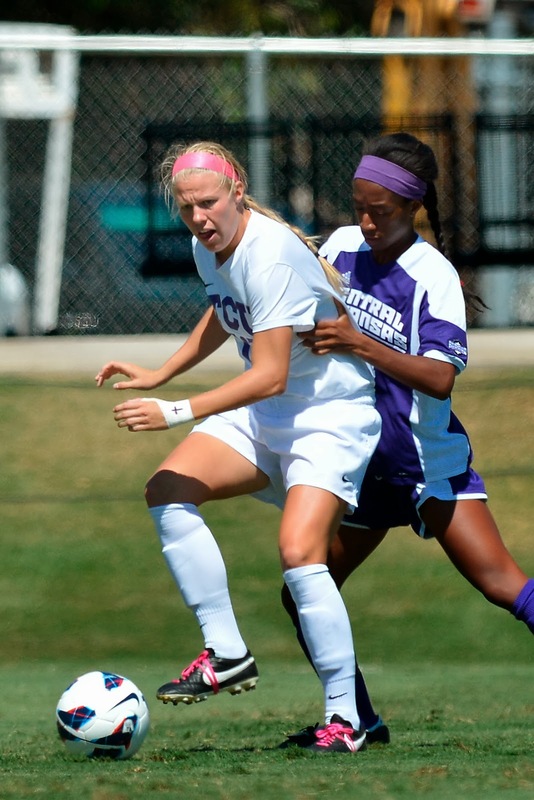 CHICAGO (Sept. 26, 2013) -- Former Eclipse Select Soccer Club forward and Texas Christian University freshman standout Michelle Prokof (Gurnee, Ill.) was honored for her goal scoring frenzy last weekend for the Horned Frogs. Prokof scored all four team goals during a two-game stretch and was named the Big 12 Conference Offensive and Newcomer Player of the Week. They marked the first weekly honors of her young career, and she is the sixth player in Big 12 history to earn both accolades for the same week. In other Eclipse Select alumni news, Notre Dame junior defender Sammy Scofield (Geneva, Ill.) scored a game-winning goal with only three seconds remaining in regulation to lift the Irish to a 1-0 victory against Syracuse last Thursday in ACC action. Scofield's header was the latest winner in regulation in the program's history. CHICAGO (Sept. 26, 2013) -- Eclipse Select Soccer Club forward Zoe Redei (Highland Park, Ill.) is one of 19 players who have been named to the U.S. U-17 Women's National Team roster. This group, which will include one more roster spot, will be competing for the USA in the 2013 CONCACAF U-17 Women's Championship from Oct. 30-Nov. 9 in Montego Bay, Jamaica. Redei currently plays for Eclipse Select's U-16 Elite Clubs National League team. 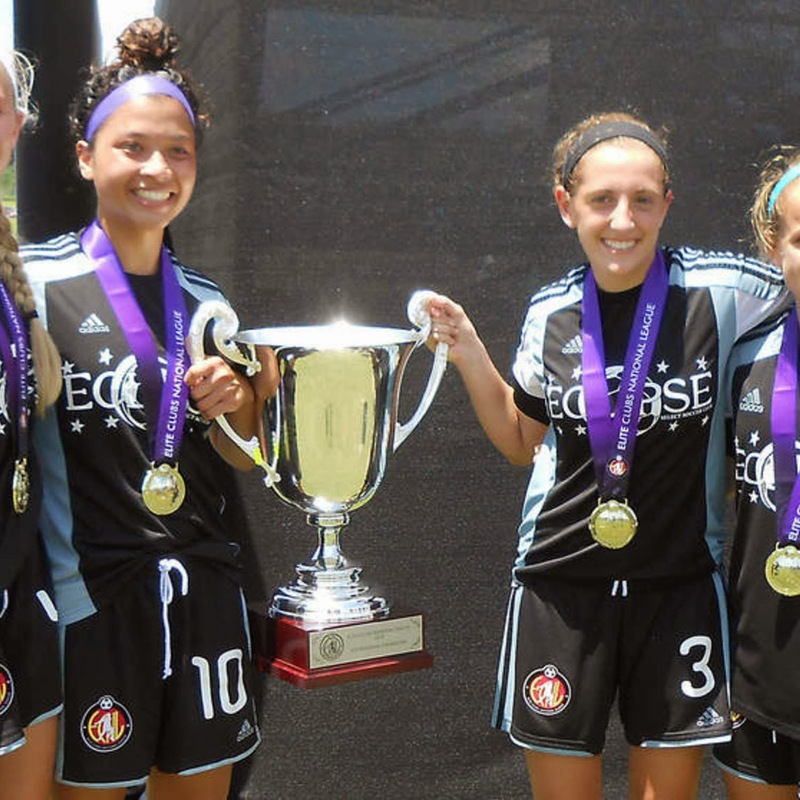 In 2012-13 at the U-15 level, she helped Eclipse Select win the ECNL National Championship, followed by a title at the US Youth Soccer National Championships, where Redei was named to the USYSA U-15 Best XI. CHICAGO (Sept. 19, 2013) -- Former Eclipse Select Soccer Club goalkeeper and Illinois State redshirt junior Aryn Newsom (Manteno, Ill.) was named Missouri Valley Conference Goalkeeper of the Week, the league announced Tuesday. Newsom earned her first shutout of the season during Illinois State’s 4-0 victory against SEMO on Friday, making two saves in that game. Then Newsom posted a career-best 13 saves in a 3-2 victory against No. 22 Marquette on Sunday. Ten saves came in the second half. Gurson earns second weekly CCAC honor: Robert Morris senior forward Gordy Gurson (Buffalo Grove, Ill.) was named CCAC Offensive Player of the Week for the second time this season on Tuesday. Gurson tallied the lone goal as Robert Morris upset NAIA No. 2-ranked Hannibal-LaGrange College (Mo. ), 1-0, last Saturday. 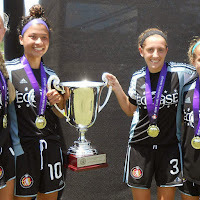 For the latest Eclipse Select news, visit www.EclipseSelect.org.